This recipe is not some new discovery. I’ve been making this since high school when I ordered my “Kitchen Quick” off of t.v. Saying “off of t.v.” feels really weird. But it wasn’t online. I had my mom call to order this kitchen quick for me and it came with a recipe for salsa. 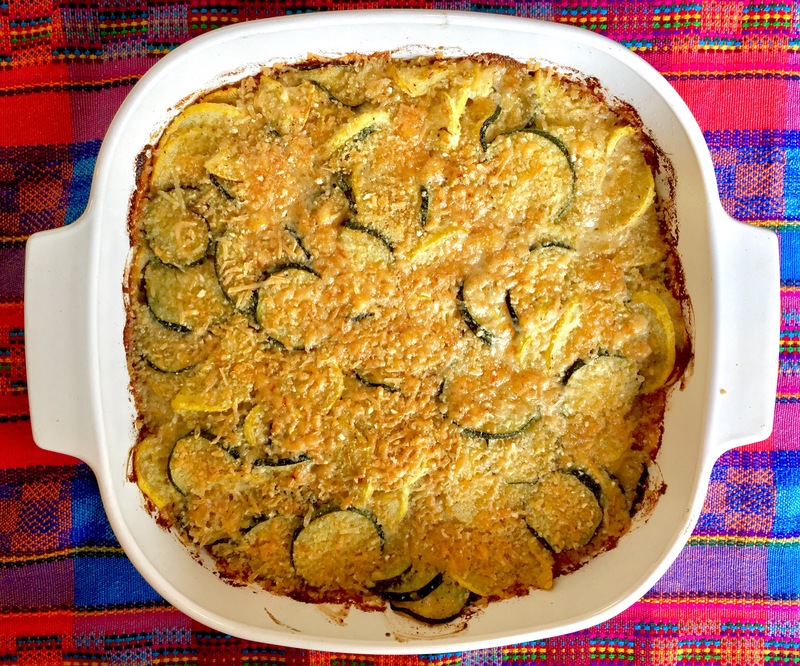 This Kitchen Quick really catapulted my cooking love. It was basically a hand-powered food processor. My friends would tease me that I would never come and hang out on the weekends anymore because I wanted to stay home and make “sals” (right, Min). 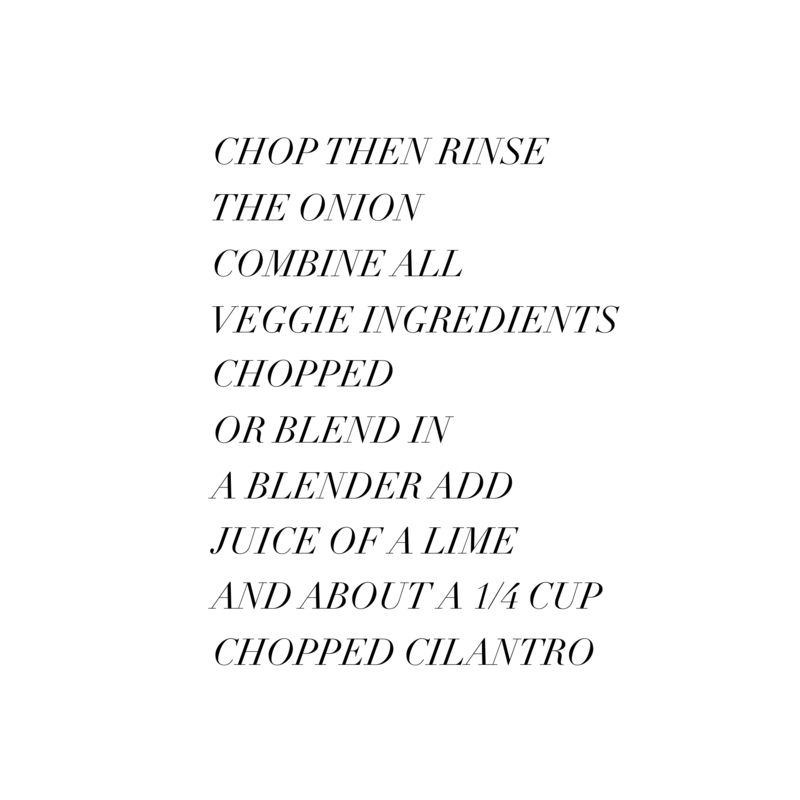 The salsa recipe called for fresh cilantro, but this was ’98 in Iowa and we only had dried. By about 2000, you could easily find fresh cilantro in the stores. The first time I used the fresh I about croaked. Disgusting! Now I love it. I can’t get enough. 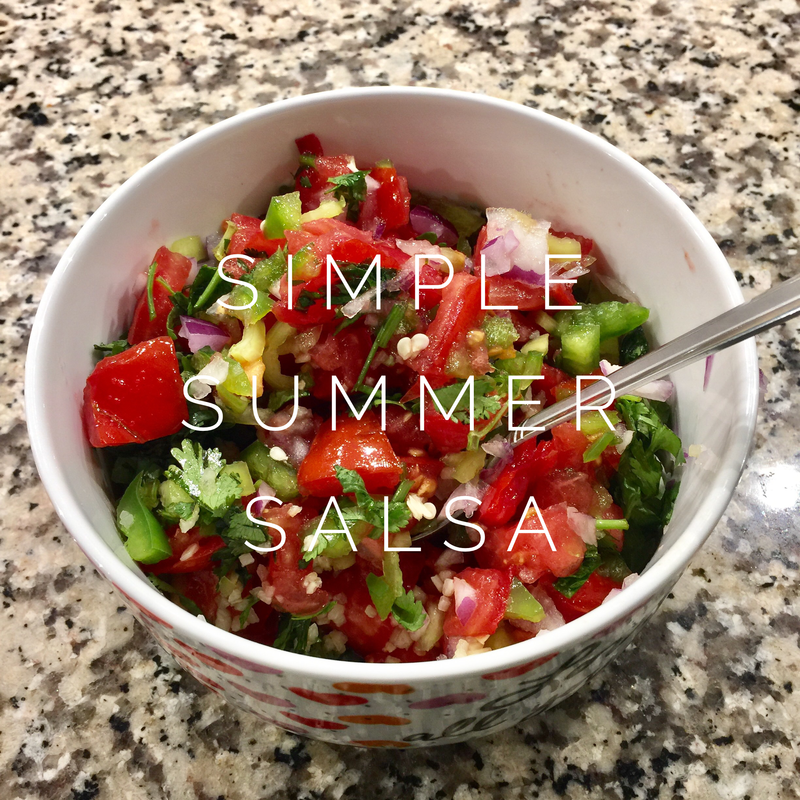 I realize that this is the most basic salsa, but I think that’s what makes it so good! This is so easy, and there are so many GOOD tomatoes out there right now. So take advantage! You only really need a chef’s knife and a cutting board, but if you like a more blended salsa, use a food processor (I’ve had this one for 11 years) or blender. *besides fresh cilantro, I think that having a fresh salsa with enough lime and salt is key. It’s so important that it can make up for the fact that you have bad tomatoes. 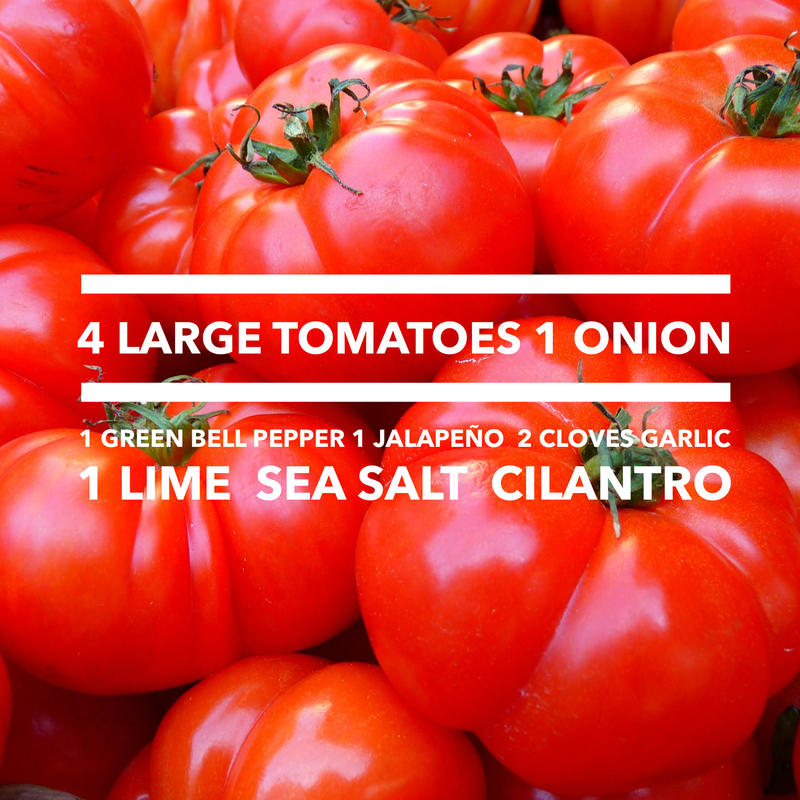 Speaking of which, make this salsa even if you DON’T have tomatoes. Still good! *I searched and searched for the Kitchen Quick infomercial youtube but I couldn’t find it. I did find this creepy one though. These little bites are a classic and decadent combo, perfect with snacking on with a friend over a bottle of wine. 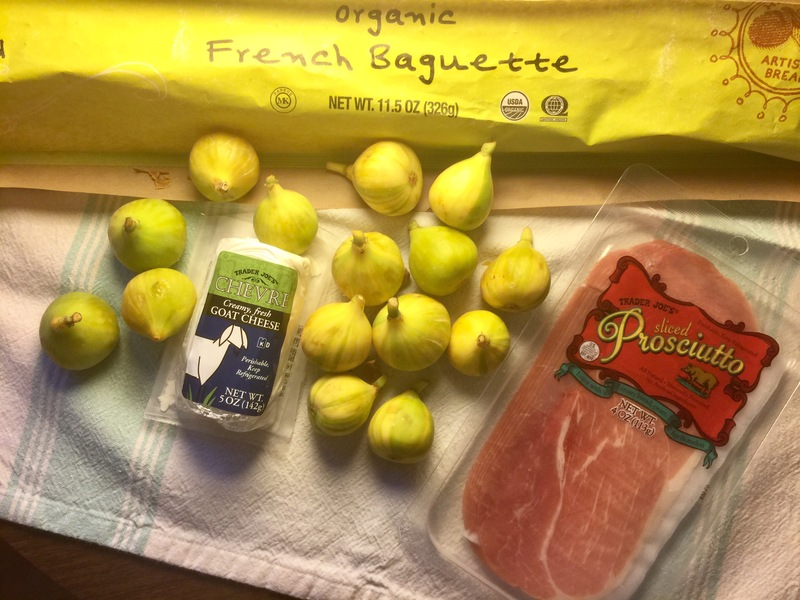 Fresh figs are in season now. I use the green ones because they’re just gorgeous in color, both inside and out. 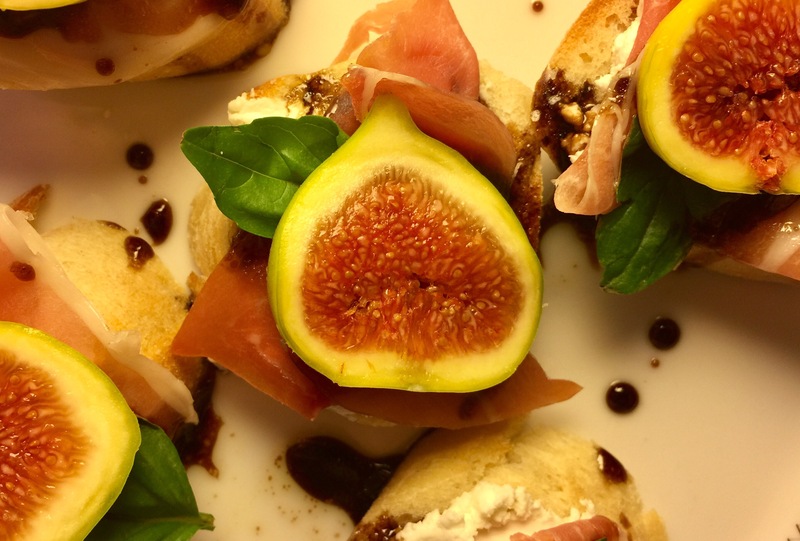 I used Trader Joe’s French baguette as the canvas then I layered the cheese, prosciutto, a honey balsamic glaze, fresh basil and topped with a beautiful fig slice. Enzo is such a nosy dog. Mix together the balsamic vinegar glaze, honey, and olive oil. If you don’t have, or can’t find the glaze, use a regular balsamic vinegar and use a little less and add a little more honey. Season this mixture with salt and pepper.